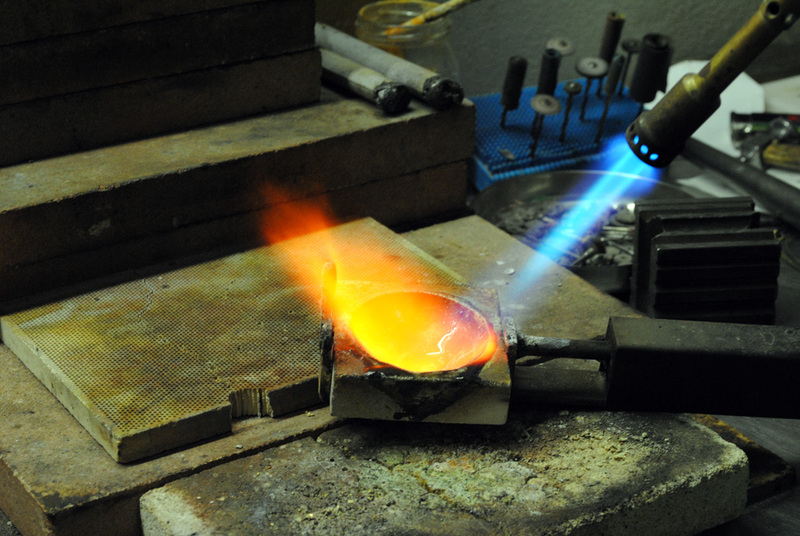 Bruno Nucci works with fire to create a unique wearable metal element. Photo by Stefanie Burger/Gonzaga in Cagli. Bruno Nucci looks at his wife Katia while she glances at friends passing in the Piazza outside. Photo by Stefanie Burger/ Gonzaga in Cagli. 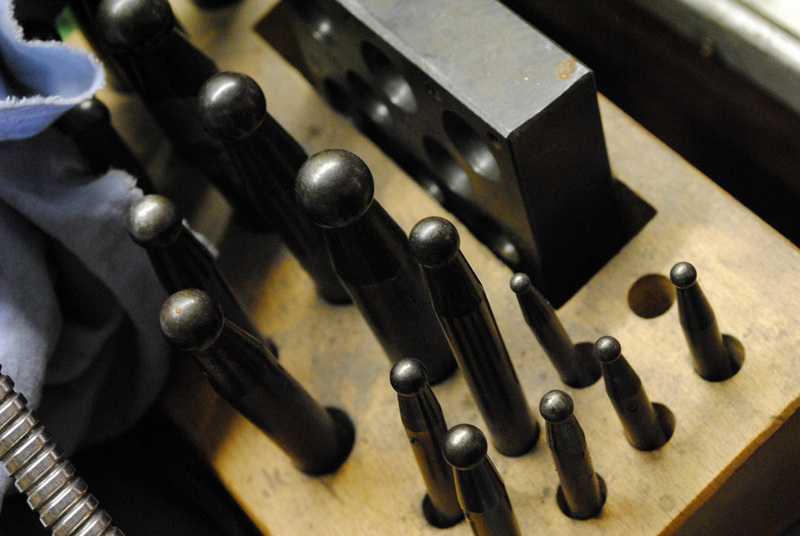 Chisels are filed in their place within Bruno & Alessandro's workshop. Photo by Stefanie Burger/ Gonzaga in Cagli. 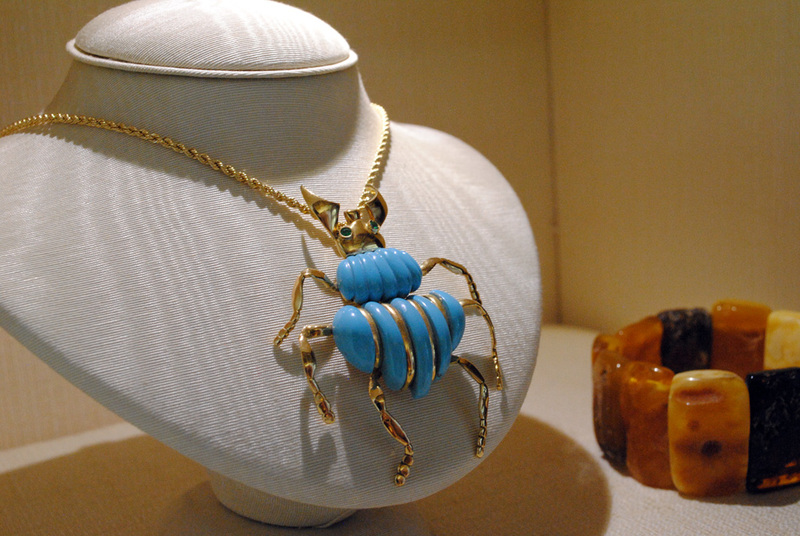 One of Bruno's many nature inspired pieces sits under a spot light in the store front of Krysos. Photo by Stefanie Burger/ Gonzaga in Cagli. 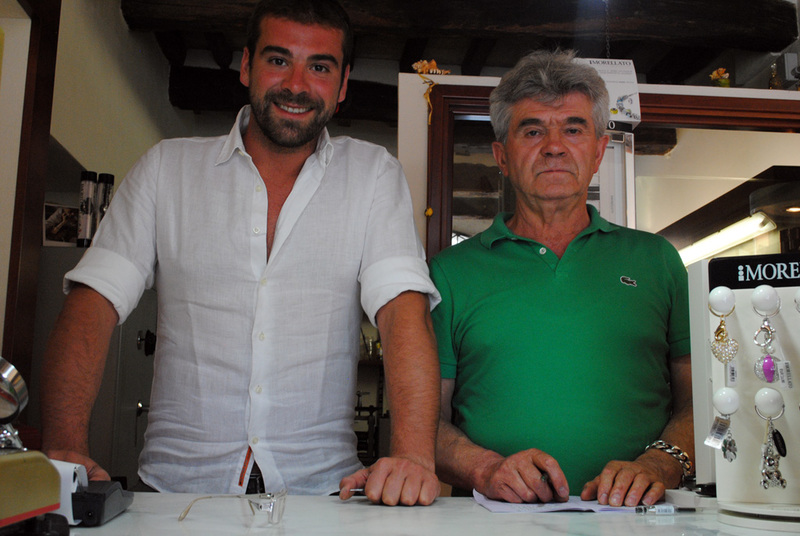 Alessandro and Bruno Nucci; Father and son design team at Krysos. Photo by Stefanie Burger/Gonzaga in Cagli. 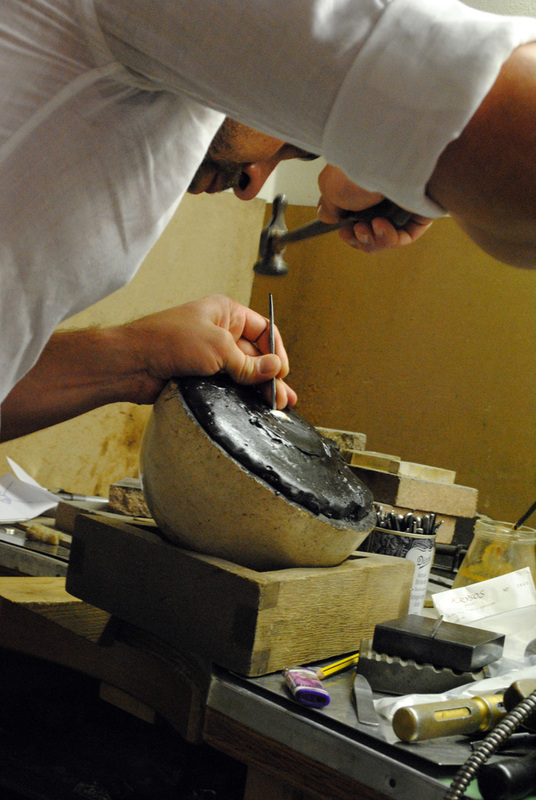 Bruno's son Alessandro works on his next peice by chiseling a small fish detail. Photo by Stefanie Burger/ Gonzaga in Cagli. The fine craftsmanship of his five-year restoration project is obvious as musician Dario Toccaceli gives a tour of the home situated in the rolling hills of Acqualagna. 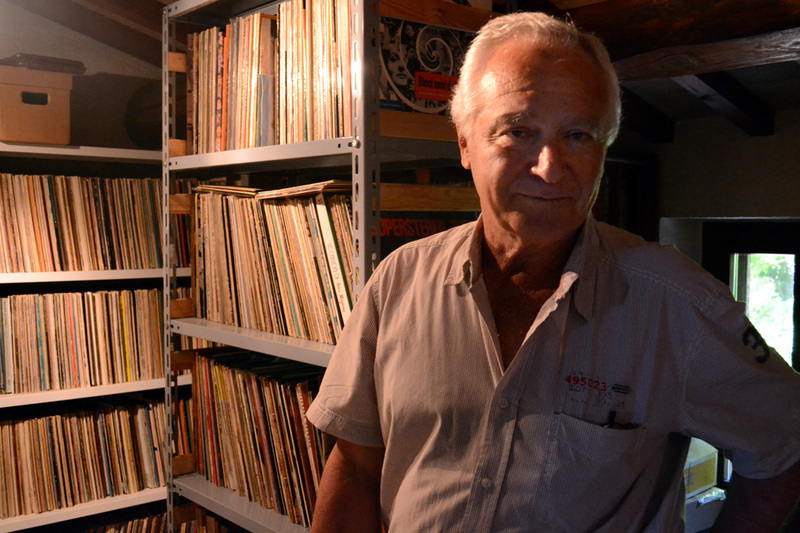 Inside his house, collections of records, CDs, musical instruments, antique record players, and pictures of recording artists are thoughtfully displayed. While Dario’s mother was a talented singer in her own right and taught him at an early age to appreciate music, it was not until he was living in Rome at age 14 that he first learned to make musical instruments when his father hired a fine carpenter recently released from a local prison to assist with a construction project. Noticing his curiosity, the craftsman invited Dario to his workshop to demonstrate how guitars were made – a skill the convict had learned in jail. What Dario discovered in the tiny studio would change his life forever. 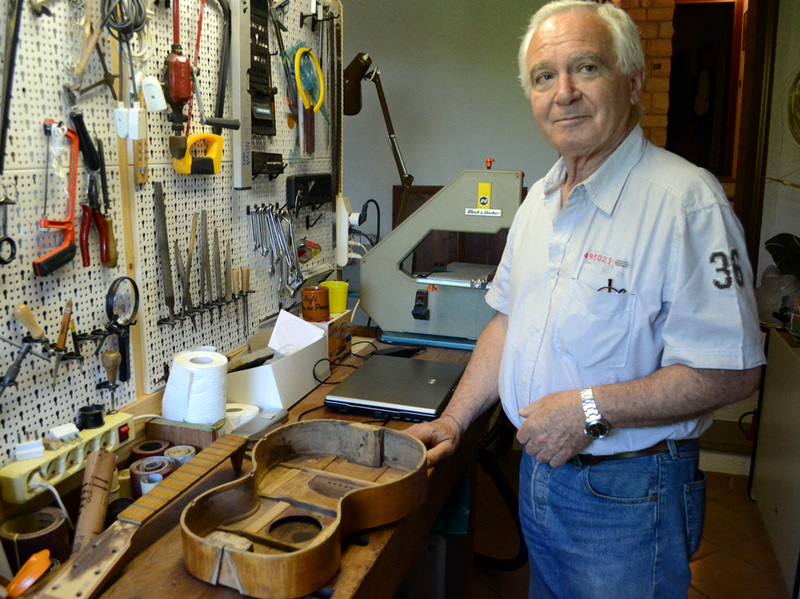 Two other craftsmen – one a talented violin maker from northern Italy – joined Dario in the project, and the three young men taught Silvio the art of violin construction. 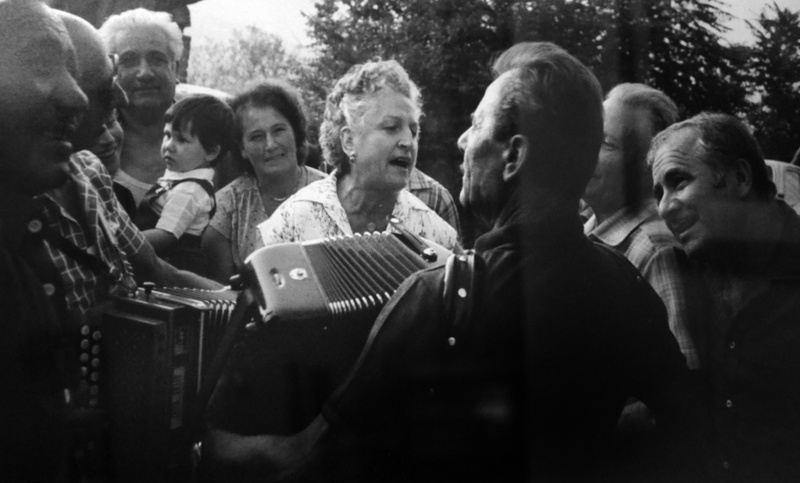 Before he died at age 95, D’Amico was able to play the violin the young men helped him build. Over the years, Dario has sold about 60 instruments, the first of which was a Hurdy Gurdy, a 15th century instrument much like a mechanical violin that is played in France, northern Italy, and parts of the United States. 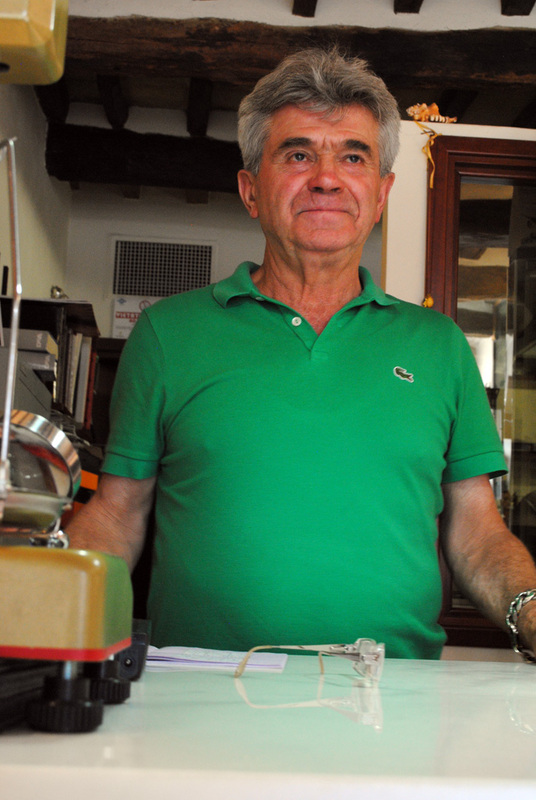 The Hurdy Gurdy was on display in a gallery when Pino Donaggio, a noted Italian film score composer, took notice and offered to buy it for today’s equivalent of €3,000. Dario was not interested in selling, but after the composer asked several times, Dario finally agreed. The Hurdy Gurdy is now in Hollywood, California and has been used in several film score recordings. The guitar-building process takes approximately 300 hours. 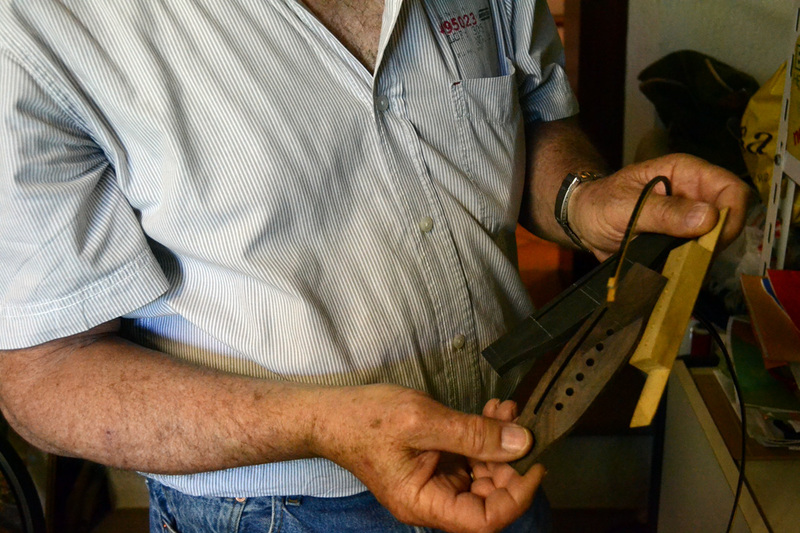 First, using steam and heat to make the rosewood casing pliable, Dario clips the thin strip of wood to a mold, leaving it to dry and harden for several days. 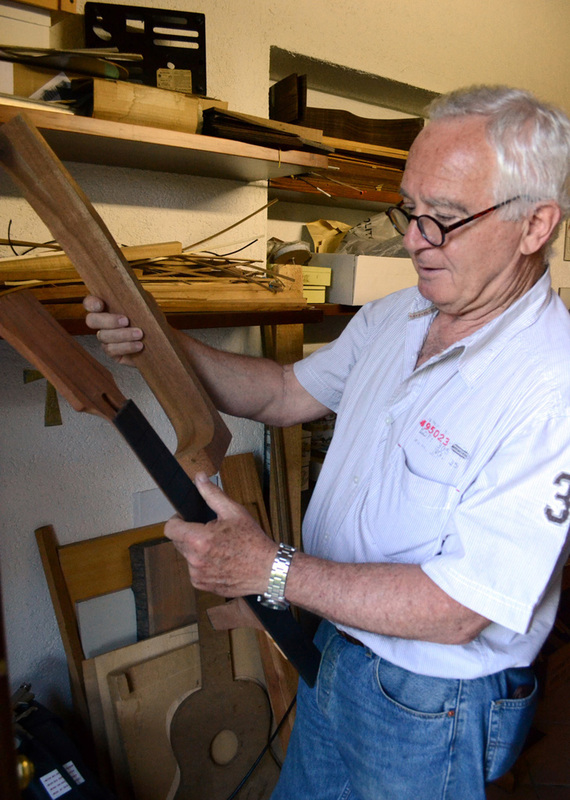 He then carefully selects thin, cedar planks for the guitar’s front and back. He chooses mahogany for the neck. Ebony works well for the bridge. He gives special emphasis to the soundboard on the inside of the guitar, making slight alterations in the design until he hears the perfect tones. Dario is currently restoring a 200-year-old parlor guitar that he received as a gift from a friend nearly 30 years ago. The maple-and-mahogany instrument had been used in an osteria to entertain patrons and overnight guests. 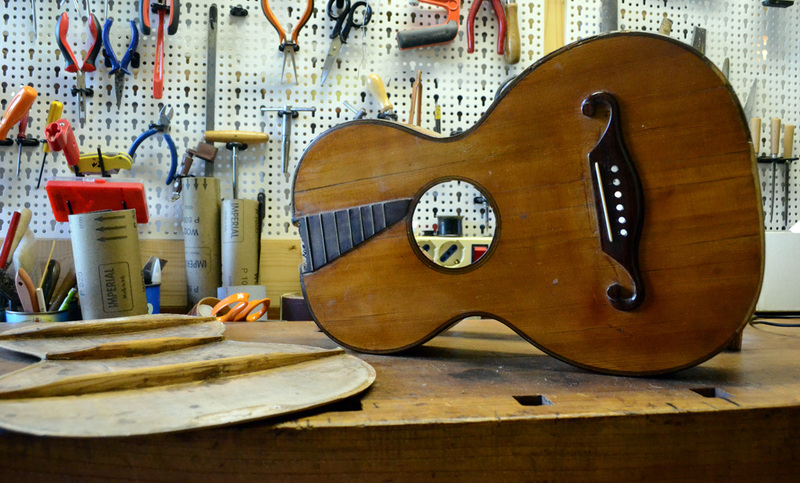 Dario played the parlor guitar for several years before disassembling the guitar to restore it. Other restoration projects have included accordions and 1950’s record players. Guitars are not the only instruments Dario makes. 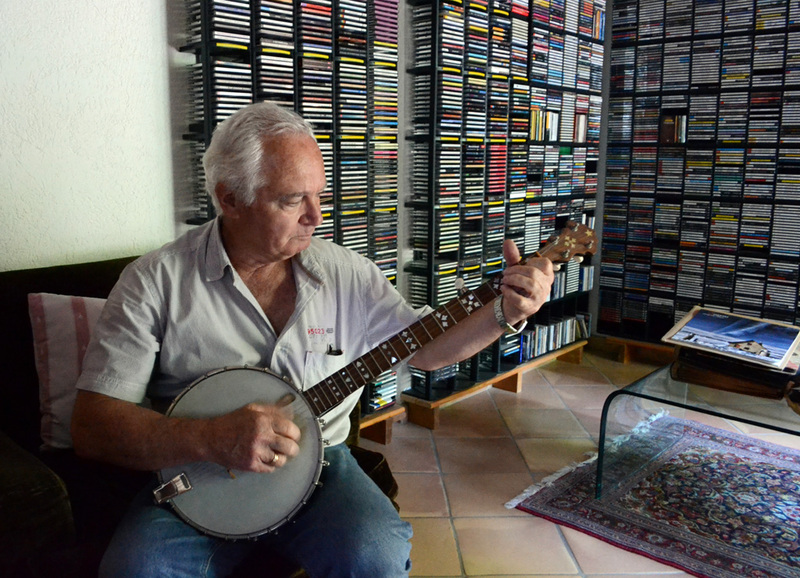 Over the years, he has crafted accordions, banjos, dulcimers, auto harps, and mandolins. 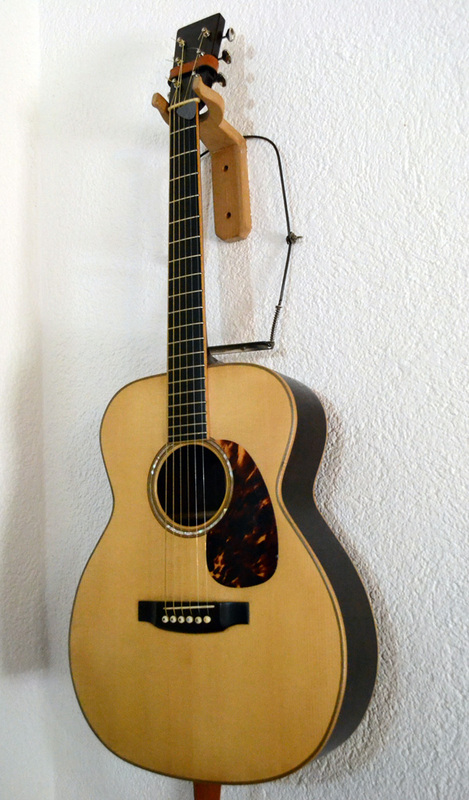 His most recently constructed guitar hangs proudly on the family room wall of his Acqualagna home. Dario’s talent has led to him recording music in India, France, Germany, and the United States. He has recorded music with the likes of Pete Seeger, Francis Kuipers, Donovan, and Woody Guthrie. 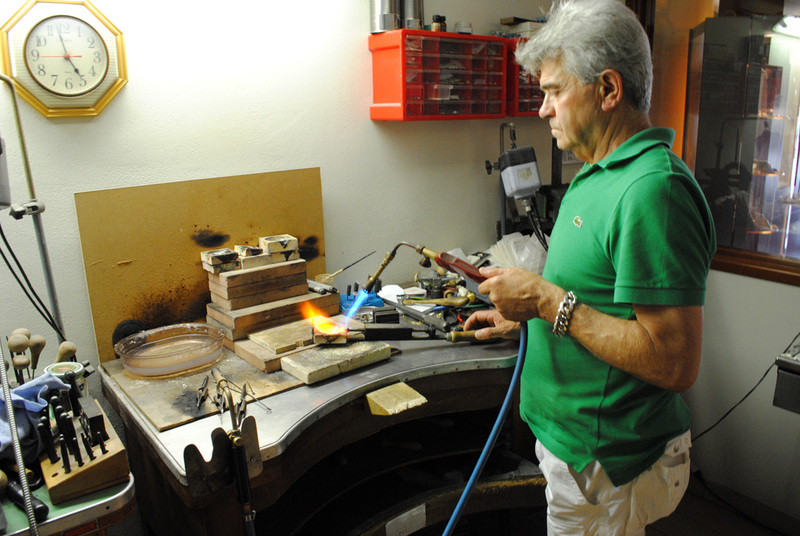 Sharing his love of music and the guitar-making process is important to Dario. Several times a year, he makes presentations to schools and university classes. And he is always willing to play his guitar for the people of Cagli. Professionally, Dario Toccaceli is a chemist. His passion, however, is music. Dario in workroom. Photo by Gina Tanner/Gonzaga in Cagli.